Home › ALERT › A New Harbinger AND An Enabler For The Iranian Invasion? A New Harbinger AND An Enabler For The Iranian Invasion? 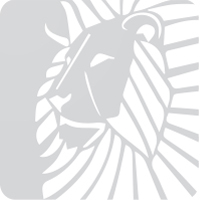 Many events in the Middle East continue to contribute to the Signpost’s fulfilling of end time prophecy. Once in a while a more significant event comes along, like Erdoğan being granted dictatorial power earlier this month. This past month saw another event – though more subtle – which could be just as earth-shaking. This subtle event might not only clue us in as to how Iran could invade eastern Turkey and get away with it, but also, incredibly, give us a harbinger for when the Second Signpost is about to start! 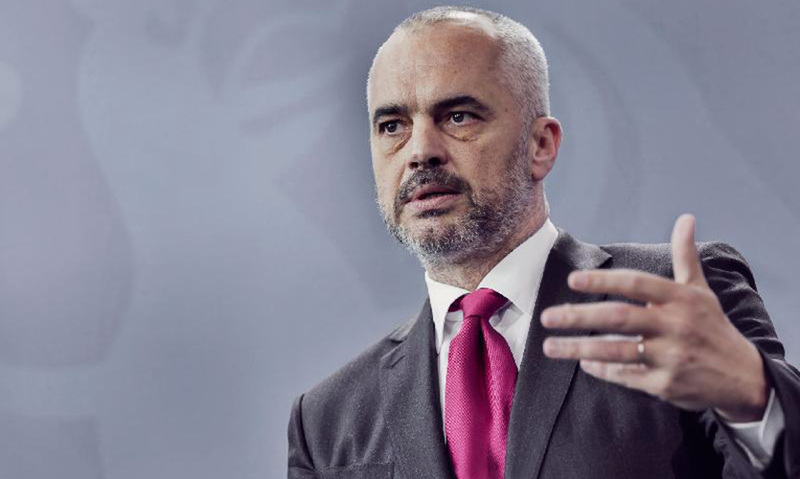 This subtle event in the news is something the Albanian Prime Minister, Edi Rama, stated in a recent interview. It won’t sound like much unless you understand the politics and history of the region. This post is longer than most, but I believe it is needed to tell you what Rama said, why it’s explosive as understood by politicians and historians, and how it could potentially give us a couple more puzzle pieces to allow us to see the Second Signpost more clearly. I’ve also added the “Alert” Category to this post; the Alert is for those events that can be game-changers. First, let’s start with the Second Signpost itself, Iran’s great invasion. The Four Signpost interpretation of Bible prophecy predicts that Iran will run north at the start of the Second Signpost, as it also runs west and south, from Susa, i.e. southwestern Iran. We can guess how far the Iranian forces – the IRGC – will go to the west and south. The Bible says that “westward” is “seaward”, i.e. to the Mediterranean. To the south, it’s as far as the ram wills – the regime’s three-fold wish of conquering the holy cities of Mecca and Medina, occupying the gulf oil fields in order to cause chaos to bring out the Mahdi, and to kill the Petrodollar. The Question: How Far to The North? The question has been for the north, how far will the IRGC go? Will it stop at the Iraqi-Turkish border, or proceed in to eastern Turkey? It would seem at first glance that Iran would not dare cross the Turkish border because the second-largest NATO military would bear down on the IRGC. But the regime will be able to do all it wants, per Daniel 8:4. That includes its wish to unite as many Shias as possible into one empire. Today we see the IRGC securing (most) Shia areas so that when the ram charges out it can take on the Sunni areas successfully, using the Shia areas as safe zones for its forces. Besides Shia populations in Yemen and the Gulf oil areas to the south, and in western Syria on the seacoast to the west, there is a sizable Shia population in eastern Turkey. This is the bait for the IRGC to go into Turkey. Mideast map showing the area of Susa, and the three directions the ram will charge. Note the greater Shia populations in dark green at the end of each direction. Also note the Shia area in eastern Turkey. But the question has remained – how could the IRGC go in and prevail against the Turkish military? Incredibly, we may have just seen an answer in the last couple weeks! This news story from Albania a couple weeks ago might actually give us a clue as to the best reason yet why Iranians could run into eastern Turkey and not be bothered – at least for a while. That’s right – the Turkish military would not be a problem for a period of time, until the Third Signpost begins. This news story makes me think that if Turkish forces are tied down already fighting a war perhaps that would be the opportunity that Iranian forces would need to charge into Turkey. While the Ottoman Empire ruled the Balkan Peninsula for 500 years, Islam crept into the area, with some peoples being more accepting than others. The Serbs stayed staunchly Christian, having their own Serbian Orthodox Church. Albania though accepted Islam and its people enjoyed opportunities in the Ottoman government and military. Albania fought off the Ottoman Empire in the 1400’s (due to the efforts of that country’s historical hero, Skanderbeg) but once conquered, Albania embraced Ottoman rule. However, with the Ottoman Empire gone, Serbia has for the last century or so forced an agenda to keep the Muslim peoples of the Balkans divided so they can never be a threat in Europe. In 2008, one of Serbia’s provinces, Kosovo, which is 95% Albanian and 90% Muslim, broke away and became its own country. 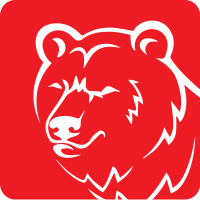 Serbia is friends with those countries who do not recognize Kosovo, like Russia. Serbia does not keep relations with those countries who do recognize Kosovo, like the USA and Albania. Albanians in Albania (which by the way is 99% Albanian), and Albanians in the little country next door, Kosovo (which is 95% Albanian), want to unite their countries into something called Greater Albania. A Gallup poll conducted in 2010 shows the majority of residents of Albania, Kosovo, and the northwest corner of Macedonia all want to form Greater Albania. Before the Ottomans arrived, the Albanians’ territory covered the same areas as shown on the map inside the purple line, and it’s where Albanians live today. The purple line also outlines Greater Albania. A map of the western Balkan Peninsula. Note the purple line outlining the areas where over 50% of the residents are Albanian. The problem seen by Serbia, is Albanians are mostly Muslim, and therefore cannot be allowed to unite. Five hundred years of fighting Islam has made Serbia “punchy.” This is probably the greatest cause for Russia to be Serbia’s ally: two Christian nations both being Slavic and both having fought Islam for centuries. Politicians in Albania and Kosovo mostly downplay the whole topic of Greater Albania so as to not light a powder keg. So What Did Rama Say? Albanian Prime Minister Edi Rama. His recent statement on unification with Kosovo may have lit a powder keg, and may have exposed his hidden intentions. Albanian politicians both in Albania and Kosovo have said for the last several years that Greater Albania was not a goal, but EU membership was. Albania has been a EU candidate now for the last couple years. However, if EU unification is ever off the table – and this was never said before by a sitting politician – Albania and Kosovo would need to unite for their own sake. Kosovo is not even recognized by many nations so how can Albania or the EU unite with a nation not recognized by others? Serbian Deputy Prime Minister Ivica Dačić spoke out about Greater Albania in this article as a response to Rama’s statement. Serbian Deputy Prime Minister Ivica Dačić. In other words, might Rama’s statement portend that unification of the Albanian peoples is a hidden priority to Albanian leaders? I’ve been watching Albania for the last few years and the statement Rama made was the most bold yet on the topic recently. Two contrasting thoughts come to mind about Dačić’s statement. First, what’s the big deal? Most Albanians and Kosovars are secular Muslims and even when united they shouldn’t cause a problem. On the other hand, if Serbia begins a war over this issue to keep Kosovo separate from Albania, ultimately the threat to Europe is not a united Albania, but the war unleashing the Second Signpost leading to Antichrist. Well said. The entire west Balkan region is a powder keg and has been for a long time. Peace is always preferable. But developments in the wrong direction could bring a war – a new Balkan War. The time may come when Albania, Kosovo and part of Macedonia try to unite. 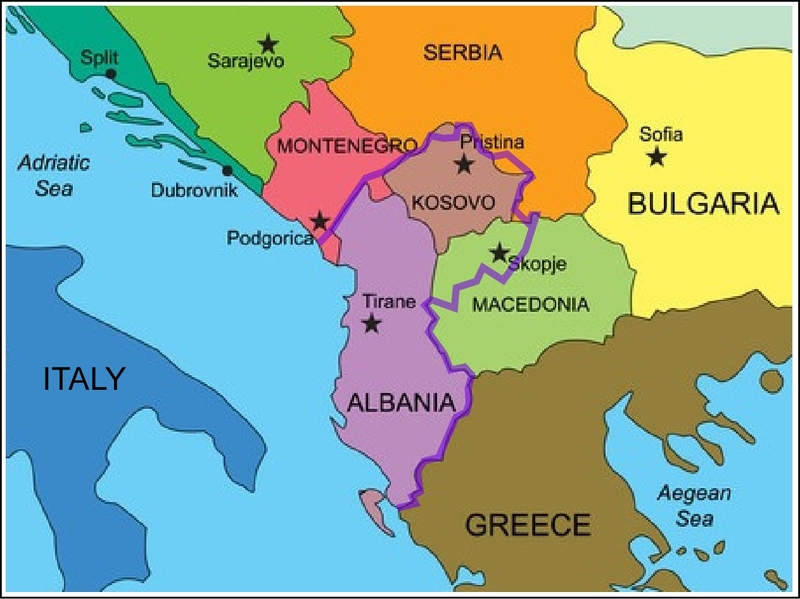 If Serbia perceives Albania, Kosovo, and provinces of Macedonia uniting, Serbia will likely attack. Other nations then could easily get pulled in, just as what has happened in past Balkan wars. Remember World War 1.
Who is Albania’s main ally? Historically, and today, it’s none other than Turkey. In addition, Turkey and Albania are both members of NATO. Who is Serbia’s main ally? Historically and today, it’s none other than Russia. If a war for Albania’s unification begins it wouldn’t be that hard to imagine Turkey getting bogged down in a Balkan War, going against Russia ultimately. With, Turkey’s military being bogged down in a war, that could be the IRGC’s pass to charge out, even into Turkey. As I suggested in this earlier post, Putin may know Iran’s plans for the Second Signpost. Supporting Iran’s Mideast plans is a win-win for Russia. Not only does Iran become a major threat to the Sunni Muslim, millennium-long, thorn in the side of Russia, but the price of oil shooting up many times over would make oil-exporting nations like Russia, rich. I had not thought of Turkey being bogged down in a war to make way for Iran in eastern Turkey. This event with Rama and Albania opened my eyes. If the IRGC is to run into eastern Turkey, this is really the only way it could happen – with Turkey already fighting a war. Those of you who have seen our God work in your own lives, know that He usually kills two, three or eight birds with one stone. A new Balkan War would not only allow Iran to run in to Turkey unhindered, but if this war is major, and long, and Turkey and Albania are victorious, half the Sunni Confederacy might have already formed. It would only need Syria and Egypt to join. 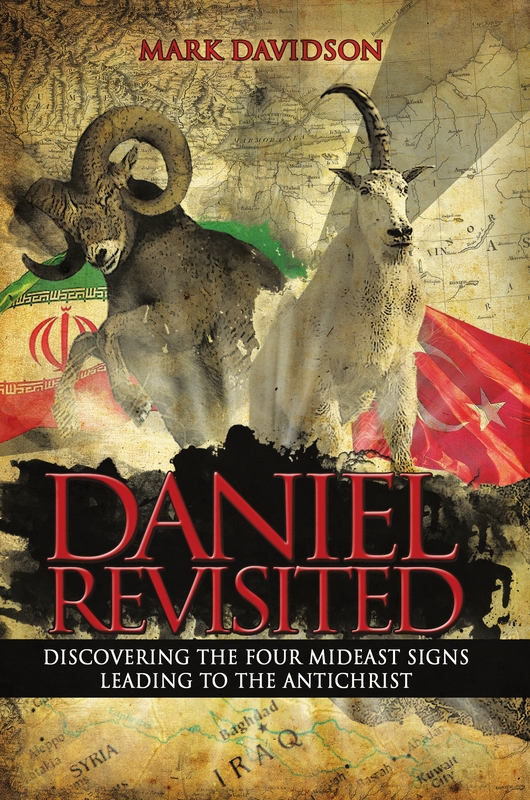 And on top of that, if Iran invades Turkey it is because Iran has started the Second Signpost and is invading everywhere at the same time just as Daniel 8:3 seems to tell us. This means a new Balkan War also would be an opener – a harbinger – for the Second Signpost. Therefore, we need to keep an eye on Albania and Serbia more closely. If we see in the headlines in the not-too-distant future a new Balkan War erupting this might be our big sign the Second Signpost is at the threshold! How long do you think Iran would wait after the start of a major war – one week; one year? My bet would be the shorter time, but only after Turkey has committed a large part of its military to the war. Believe it or not, this may be an answer to a prayer of mine. I’ve been praying for years that God reveal an obvious sign ahead of time, that shows the Second Signpost is about to begin. A nightmare scenario would be to wake up one morning and the Mideast has gone Iranian. But with a large and obvious (obvious to Signposters not to anyone else) sign, it might give one a few days or weeks to get ready – move money, get garden supplies, cancel that trip to Europe, stock up on food, pay off debts, do things you’ve been procrastinating on, etc. However, for your sake, please do not depend on a Balkan War as a sign. The safe bet is to stay in prayer and keep watching Iran itself. But if this Balkan War between Albania and Serbia erupts, God may have graciously given us a warning that you have a few days or weeks to get ready. And chances might be very high that “normal” living is about to end and the end times will commence in earnest. I was able to listen to the entire interview on KLFC FM on April 24. Two things impressed me. 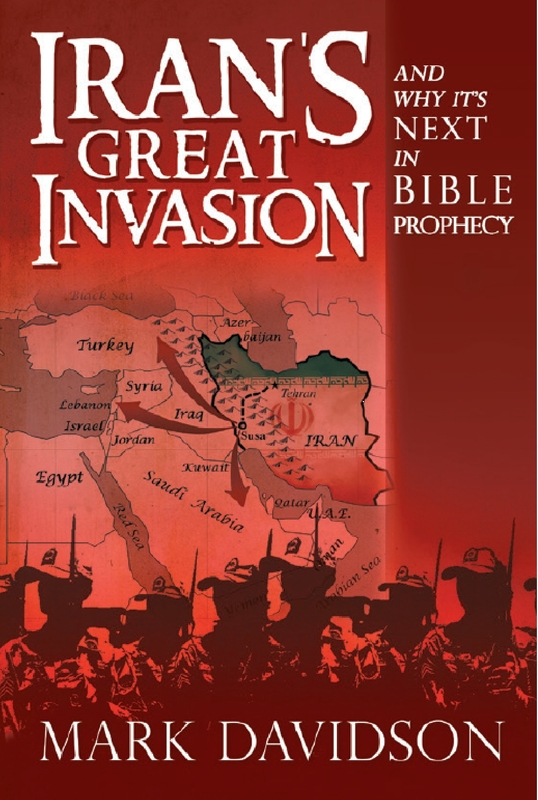 As one of the hosts was reading the first chapter of “Iran’s Great Invasion,” I realized that the book’s message is for people in general and not just for prophecy buffs. Then, toward the end of the first half hour, you got into the subject of this post, and I realized that your comments about Albania in “Daniel Revisited,” which I had regarded as far-fetched, are as important as everything else in that book. This is a good and helpful post. The under-brewings of another possible Balkan War would indeed distract and concern Turkey enough to commit significant Turkish troops that if gone full-scale there would be the opportunity that Iran would seize to invade the eastern third of Turkey as well. It is very possible. It bears even more monitoring within the sources of Balkan political reporting to give your readers a heads up when to start preparing with urgency. It is always better to be safe than sorry as I see it. I would rather be on the side of “I’m sorry, I misjudged the situation” than to never be warned at all and be completely unprepared and panicked. 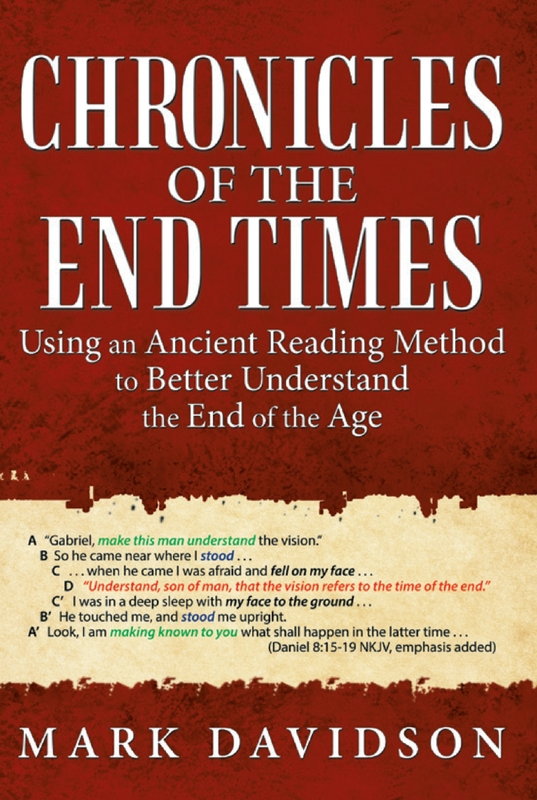 May I humbly suggest you make mention of this within your break-out session in the August prophecy conference. It is well worth mentioning. Yes, that’s the intended audience of Iran’s Great Invasion – all your family, friends and brothers and sisters who are not prophecy students. 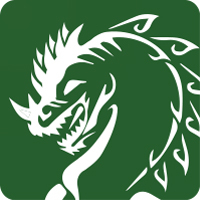 It’s intended as a tool to allow readers like you to spread the message. Your comment on Albania reminds me of some reflecting I did afterward. Funny how the seemingly most unimportant part of the signposts can have a central, pivotal role. Reminds me in some ways, of Gideon. Hi mark.. your post brought to mind this article from dated yesterday.. here is a brief excerpt. Flip, that’s really interesting…I thought your comments in your book on Albania were a little strange, but am now figuring I need to get my history books out again and do some serious swatting!! What Momonapurpose writes is another indication that “The West” will keep supporting Sunni states, including Turkey, no matter what human rights violations (including persecution of Christians) happen within the Sunni world. Turkey may never enter the EU, but everyone wants to keep Turkey in NATO, against Russia/Iran. “The West” apparently sees Russia/Iran as a far larger threat than a dictatorial, Islamist Turkey. What Mark describes seems to me an entirely plausible scenario. Albania wants to become greater, Serbia tries to prevent this, Turkey comes to the rescue of Albania, Russia comes to the aid of Serbia, and threatens Turkey, NATO threatens Russia to not touch Turkey… This is a scenario very much like the domino-effect that quickly turned the Austrian/Serbian war of 1914 into WWI. For Iran to succeed, open war between Turkey and Russia is not necessary. A stalemate with a mobilized Russia against a mobilized NATO, yet neither wanting to start WWIII, can bind most Turkish troops in positions against Russia. The stalemate binding NATO (including US) forces also prevents them to do anything against an Iranian invasion. A stalemate makes the whole scenario with the Second Signpost even more plausible, sort of like, why no one worries about Pakistan because its tied down in a “stalemate” with India. 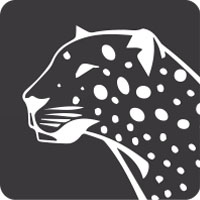 Great research and comments on this site. Thanks for being faithful watchmen on the walls. This article hints at other recent pieces of news I’ve read about Iran: historical building-up of the military in order to be a “forward moving force,” increase in the defense budget by 145%-at least partly due to the nuclear deal and lifting of sanctions, self-sufficient with natural gas, new cooperation with Pakistan on border security, etc. Lots of activity. If Turkey gets distracted, Iran will be ready very quickly, I think. With all the saber rattling with US and North Korea, “what if” the US had it’s power grid “hamstrung” for a time- couldn’t Iran take advantage of that and begin to “break out”? Certainly. It fits within the countless set of possibilities for the USA not stopping Iran. Just wondering if you think armed Kurds by the US will be left fight Iran. Turkey is not happy at this decision. I am thinking they may goad Iran to attack the Kurds. What do you think? Iran will run out in its multi-pronged attack when it feels its ready. Not before. I also believe only major militaries like Turkey’s will affect Iran’s strategy and/or timing. This is how it might be possible to be “exceedingly great” for Iran’s incursion into the Middle East and do everything it wants to do. I don’t think it can be legitimately taken off the table of possibilities as how Iran could achieve the unthinkable. Trump’s bravado either real or imagined is causing enemy collusion. I read this post a LONG time ago as it seems… Could this current news article as of 8/31/17 have anything to do with this post? Possibly. It does show Albania contributing due to it being part of NATO. However, what would likely be more significant would be a Balkan force rather than a Baltic force. Thanks for the link.